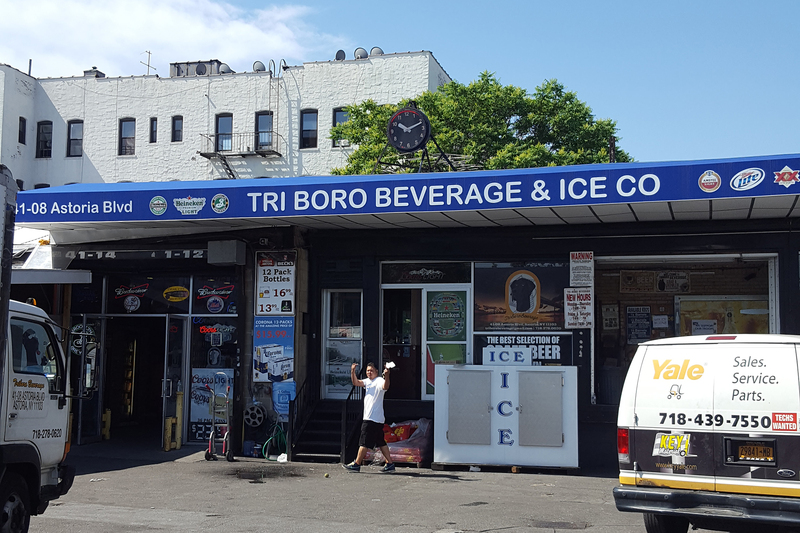 Your corner bodega may have a decent selection of IPAs, but every beer geek knows the best brews in the city are generally found at a beer store, not at a place that also sells an egg and cheese on a hard roll. 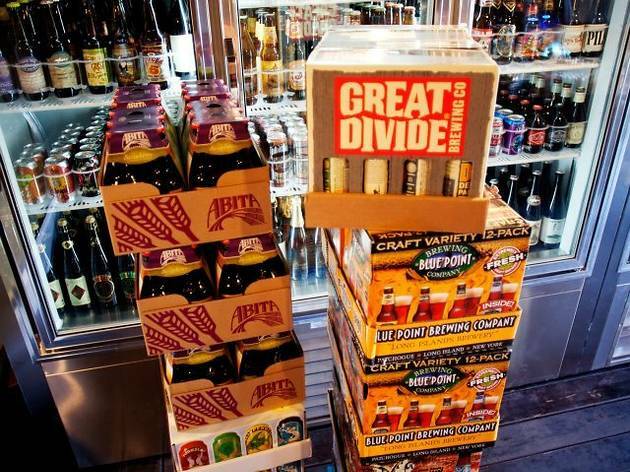 Whether you’re looking for the latest limited offering from Evil Twin, hunting down the best new beers to order so you look super cool at beer gardens or just stocking up for the best picnic ever, these shops are sure to make you very hoppy, er, happy. 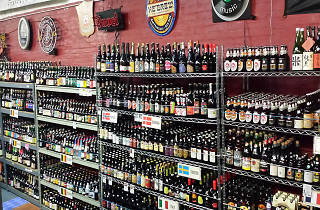 Specializing in beer from independent, micro and nano breweries, this subterranean East Village shop carries mostly American labels but with a formidable selection from Germany, Belgium and Scandinavia as well. 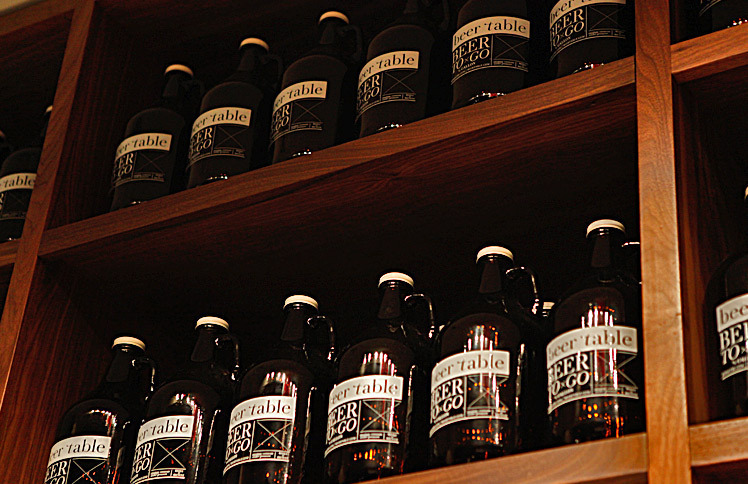 In addition to its impressive bottle and can collection, almost a dozen beers, like the critically acclaimed Bell’s Hopsolution DIPA, are available to bring home in growlers. 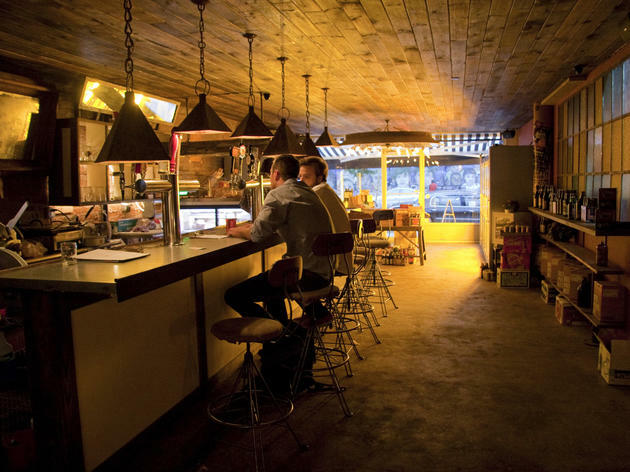 A no-frills warehouse space—we’re talking no air conditioning—means the prices at this Lower East Side spot are difficult to top. 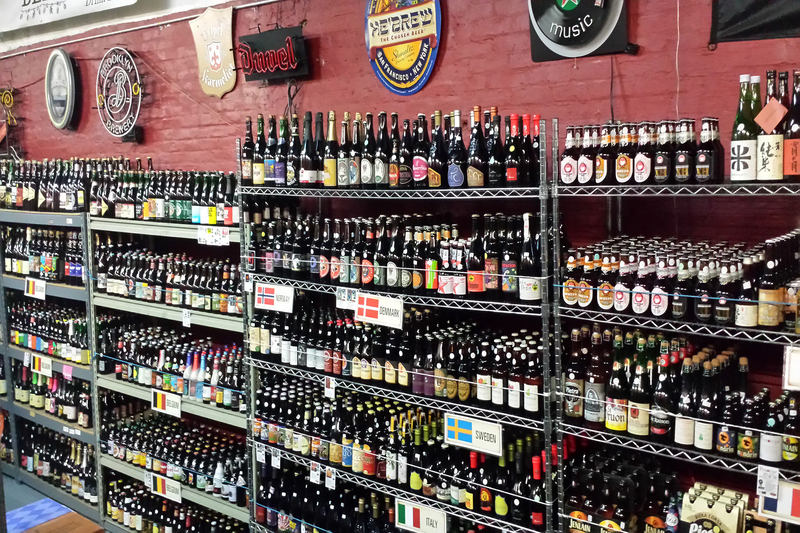 Equally delightful are the seemingly endless rows of brews, divided by country and with many single bottles available for purchase. 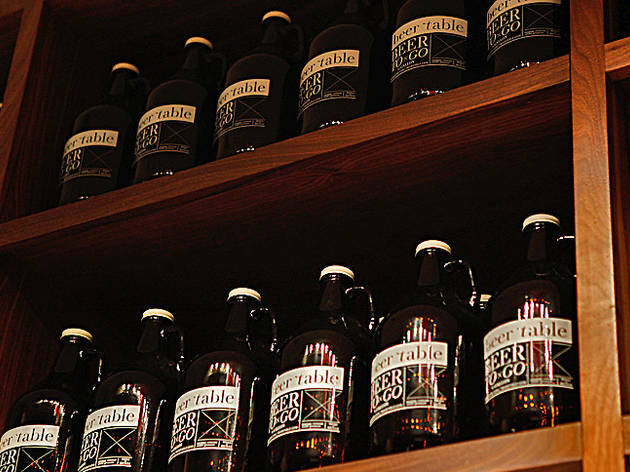 Curate your dream six-pack with labels like Baxter Brewing Co. and Anderson Valley or even take home a whole keg. The meticulously chosen selection here is rivaled only by the superb offerings of cheese alongside it. 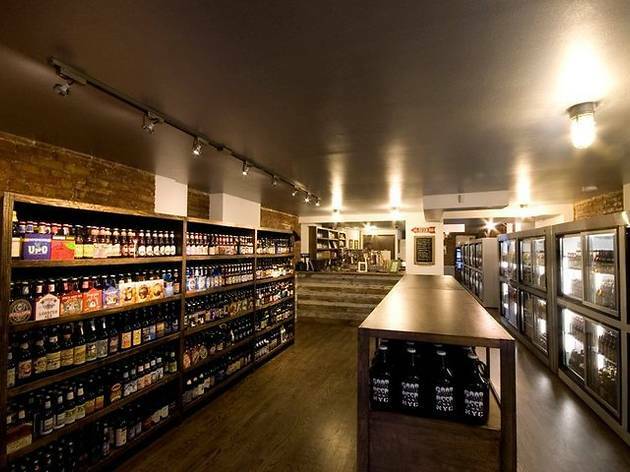 Run by Jacob Berg and Mike Fisher, who also founded Astoria Bier and Cheese, this Astor Place store carries favorite brews like Evil Twin and Finback as well as 10 brews on tap to take home in growlers. Don’t forget to pick up snacks on the way out; the pickle selection is fantastic. Like to try before you buy? 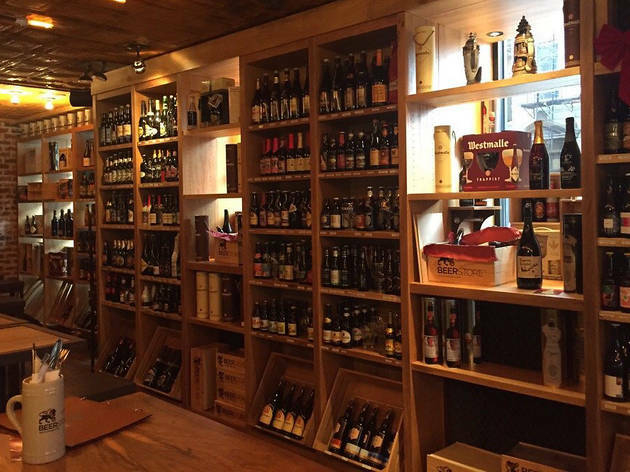 At this East Village bar and store, every one of the 350 beers sold is available to taste on-site, with offerings like the spectacular Trappistes Rochefort 8 and local brews from Long Island’s Twin Fork. 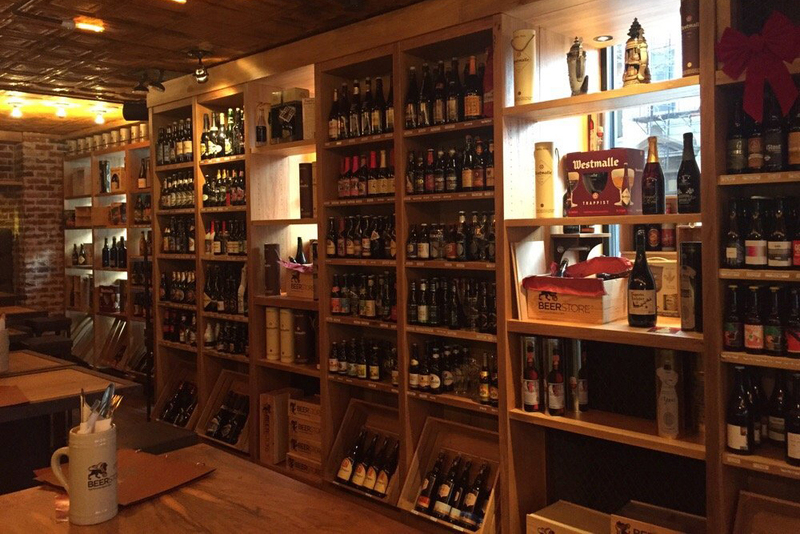 And, for the beer lover who has everything, don’t miss the impressive collection of ceramic beer steins. 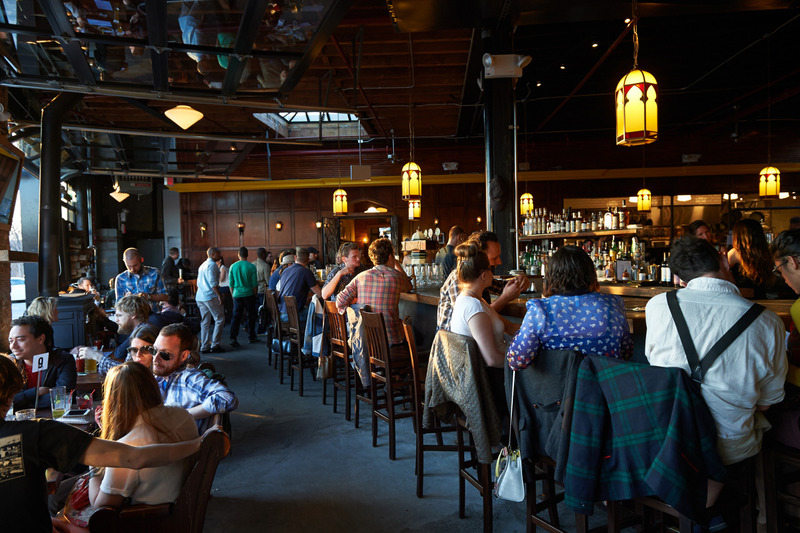 Named after the patron saint of beers, this convivial Boerum Hill spot even offers patrons a membership for exclusive discounts. 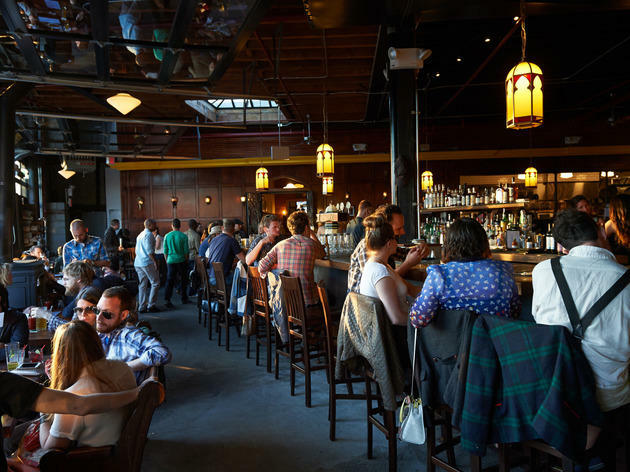 16 beers are available on tap, with a focus on local breweries, while the selection of bottles and cans includes over 200 options. 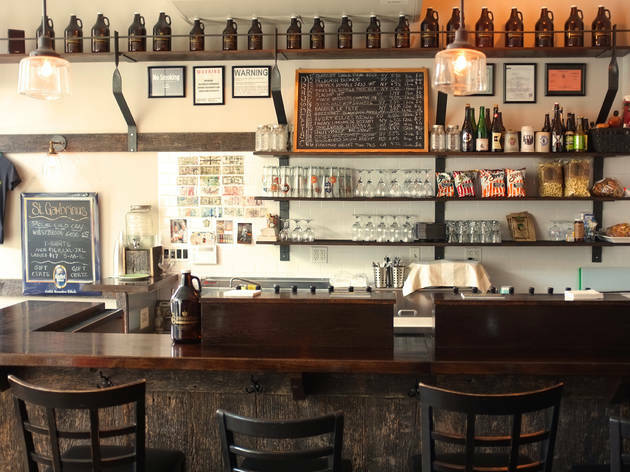 The space also hosts brewmaster talks and tap takeovers from the likes of Finback and Boulevard Brewing Co.
Never get stuck with a plain Budweiser again on your Metro North journey. 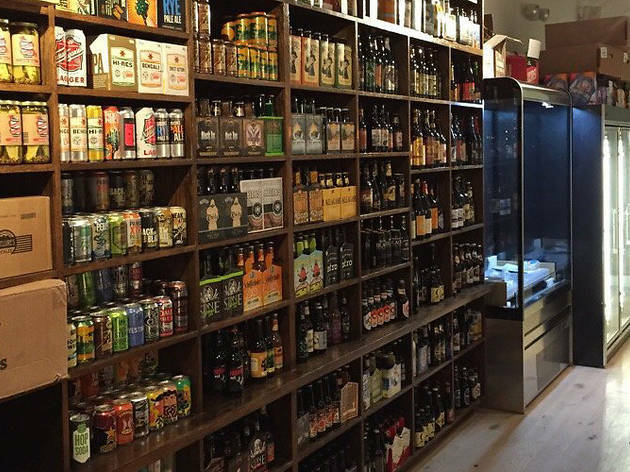 This Lilliputian space located inside Grand Central Terminal provides quality craft and draft beers to go, including New York State labels like Rushing Duck Co. and Greenpoint. 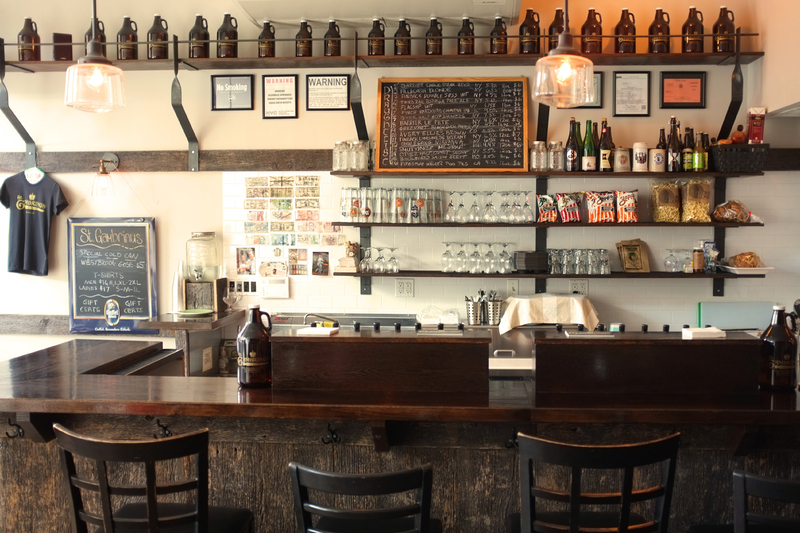 If the ones on tap don’t cut it, choose from more than 100 bottled varieties, all curated by owner Justin Philips, a former beer distributor. 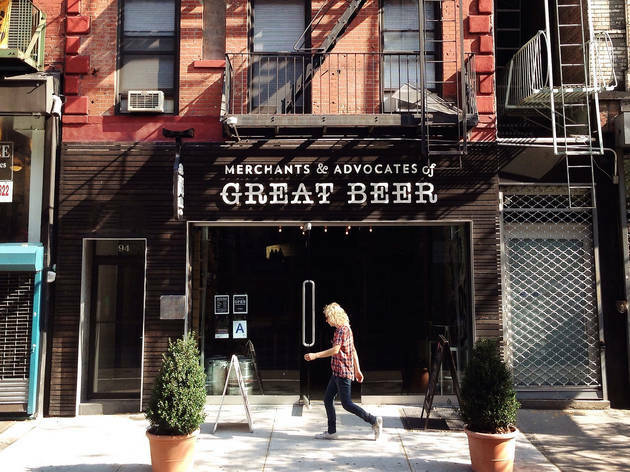 This Williamsburg store’s claim to fame is its disposable growlers, made out of recyclable plastic and designed to keep beer fresher for longer. Almost a dozen varieties are on tap here, including offerings from Left Hand and Ommegang. 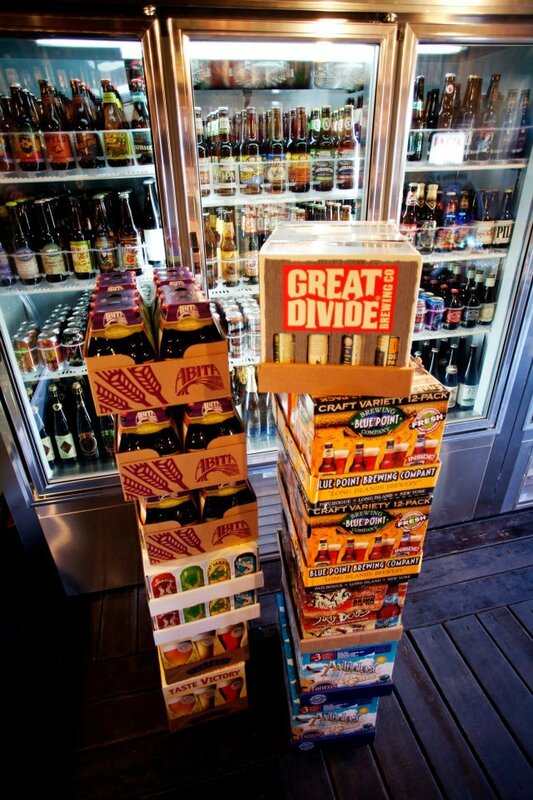 Can’t decide what bottles or cans to bring home? 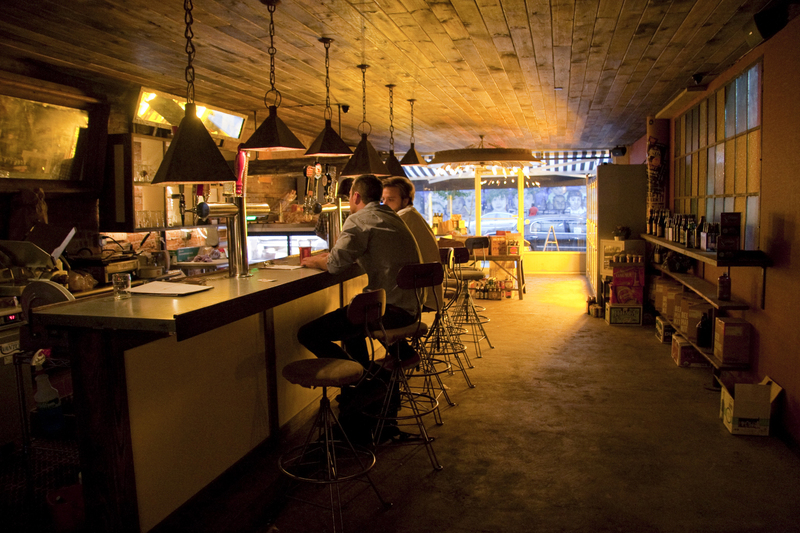 Ask the staff, known for both their knowledge and friendliness. 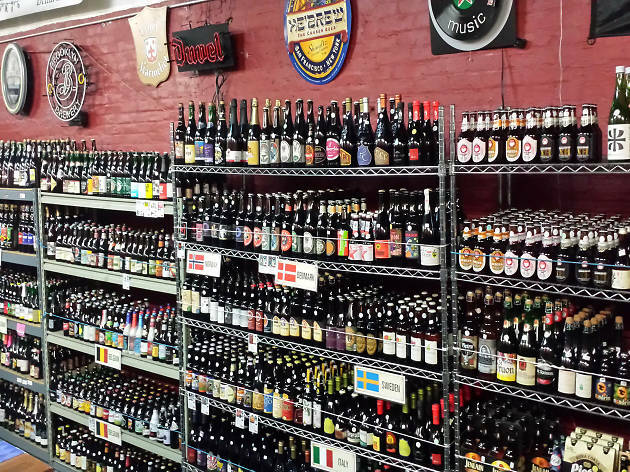 12 beers on tap, over 350 brews in bottle, a meat and cheese counter, plus fresh bread and groceries means this East Village spot is literally your one-stop shop for any type of sustenance. 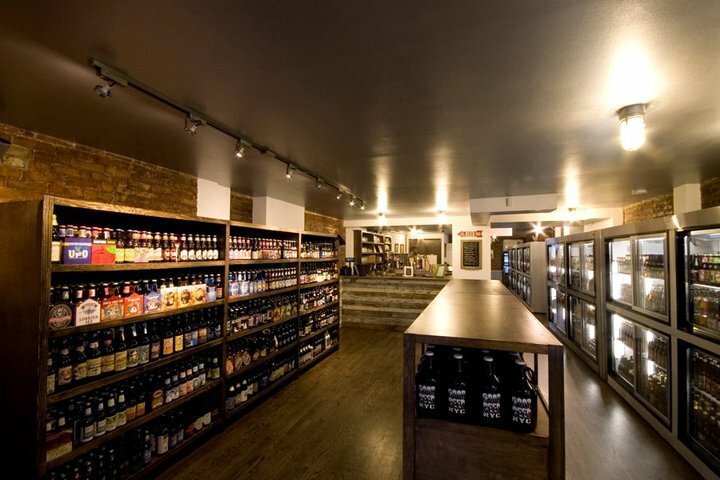 Don’t miss sampling local brews like the shop’s Easy Blonde or Bronx Brewery’s Say Hey saison in the cavernous shop/bar/restaurant. 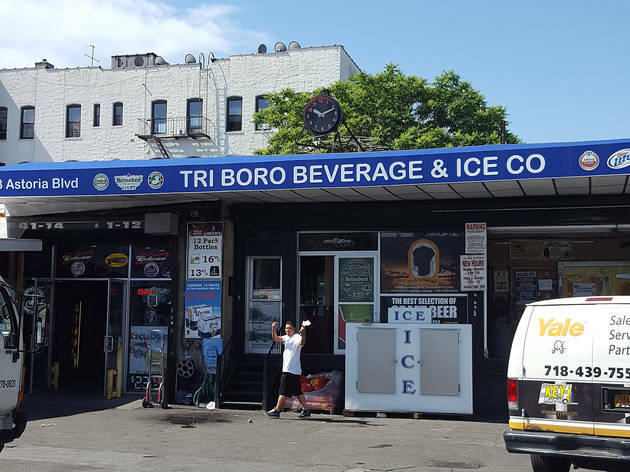 Run by fourth-generation owner Carlo Caraccia, Triboro traces its roots back to 1936, when it was a beer and ice delivery company. 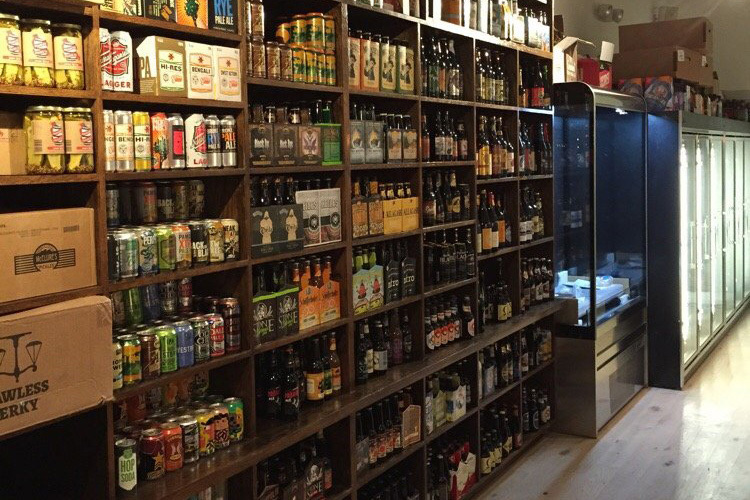 Today, the Astoria store tucked under the Grand Central Parkway carries over 500 different beers, and if it doesn’t have what you’re looking for, they'll order it. Don’t forget to pet Gento, the canine mascot, on your way out. 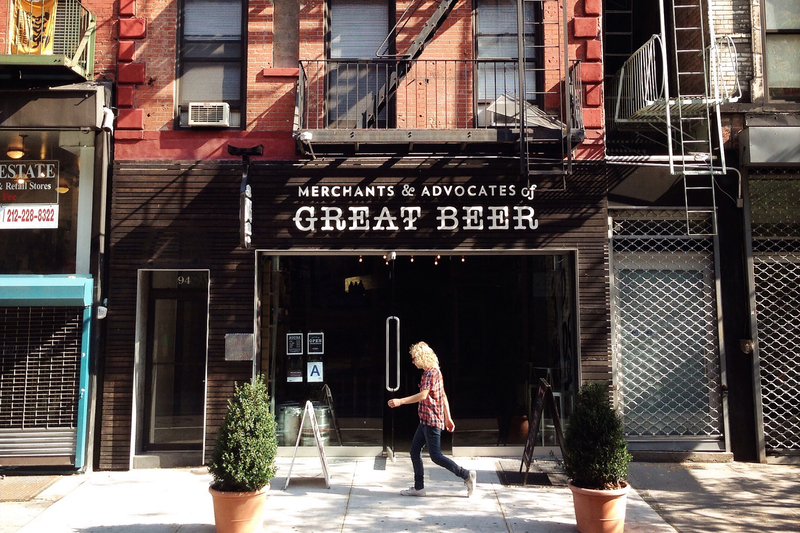 Looking for more beer in NYC?